The shorter days are bringing cooler weather. A chill is in the air. In many fashionable cities, people have stopped wearing white. Creatures of the wild are putting on their winter coats. The harvest is winding down. All around us, trees and plants are ending this year’s cycle of growth. Perhaps they are responding with glorious autumn leaves, or a last burst of bloom before winter comes. In current mystical traditions, the time of the Autumn Equinox is known as Mabon, after a character from Welsh mythology. At this time the fields are nearly empty, because the crops have been plucked and stored for the coming winter. 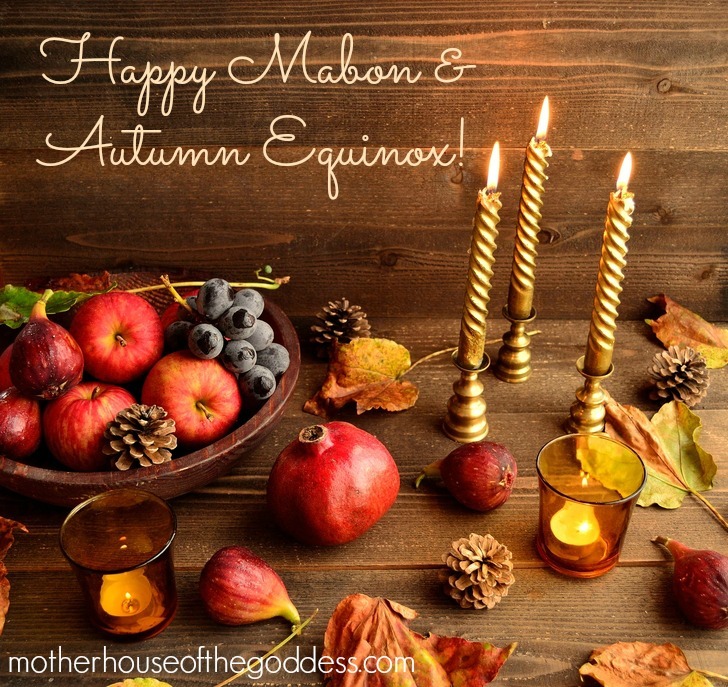 Mabon is the second of three harvest festivals, and it is when we take a few moments to honor the changing seasons, and celebrate the second harvest. For many spiritual traditions it is a time of giving thanks for the things we have, whether it is abundant crops or other blessings. Depending on your individual spiritual path, there are many different ways you can celebrate Mabon, but typically the focus is on either the second harvest aspect, or the balance between light and dark. This is, after all, the time when there is an equal amount of day and night. While we celebrate the gifts of the earth, we also accept that the soil is dying. We have food to eat, but the crops are brown and going dormant. Technically, an equinox is an astronomical point and, due to the fact that the earth wobbles on its axis slightly, the date may vary by a few days depending on the year. The fall equinox occurs when the sun crosses the equator on its apparent journey southward, and we experience a day and a night that are of equal or near equal duration. Up until Mabon, the hours of daylight have been greater than the hours from dusk to dawn. But from now on, the reverse holds true. 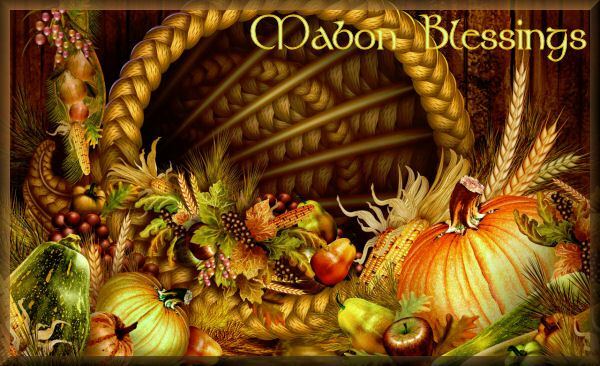 Mabon marks the mid-point of the harvest season and for the moment nature is in balance. 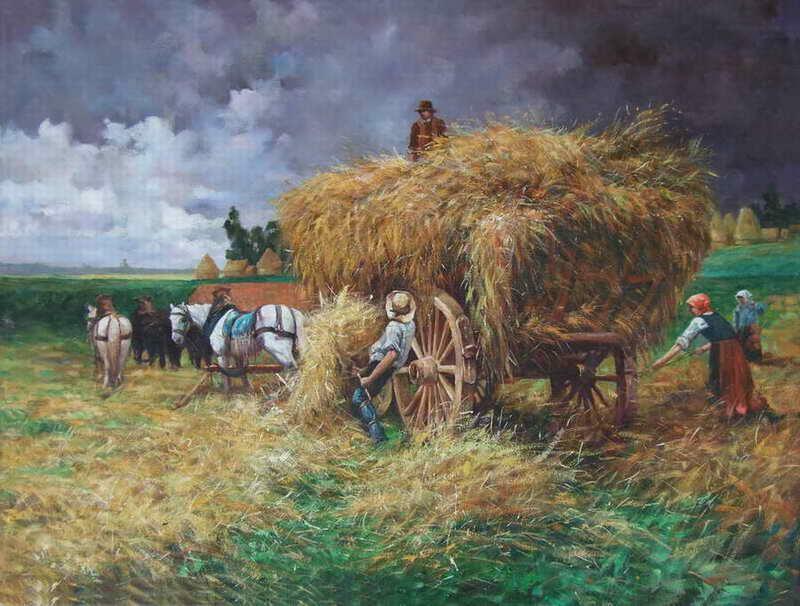 It is a time to reap what you have sown and give thanks for the harvest and the bounty the Earth provides. It is a time for finishing up old projects and plans and planting the seeds for new enterprises or a change in lifestyle. This is a time of celebration and balance. We look back over the past year and over the course of our lives and make plans for the future. We should embrace our past successes, thank the people who helped us and seek to bring ourselves into balance and harmony with life and nature. People have celebrated harvest festivals for millennia, all around the world. 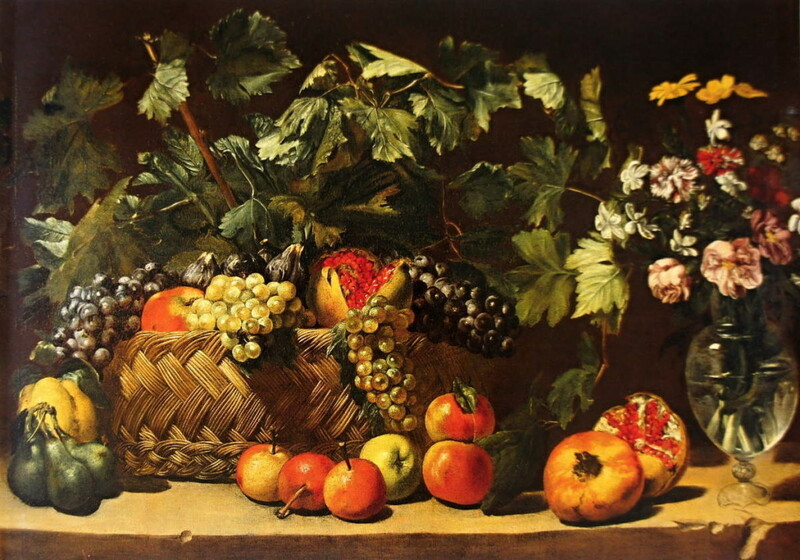 In ancient Greece, Oschophoria was a festival held in the fall to celebrate the harvesting of grapes for wine. Greece also has what is perhaps the best known of all the seasonal mythologies. It is the story of Demeter and Persephone. Demeter was a goddess of grain and of the harvest in ancient Greece. Her daughter, Persephone, caught the eye of Hades, god of the underworld. When Hades abducted Persephone and took her back to the underworld, Demeter’s grief caused the crops on earth to die and go dormant. The other gods pleaded for Persephone’s return so that the world would be restored. Hades relented but demanded that if Persephone had eaten anything during her captivity she would have to return to the underworld for part of the year. By the time Demeter finally recovered her daughter poor Persephone had eaten some pomegranate seeds, and so was doomed to spend part of the year in the underworld. The time she is in the underworld is a sad time for Demeter and she lets the earth die a little bringing on autumn and winter. But when Persephone returns to her mother, life also returns to the world. Winter fades and spring appears. In the 1700’s, the Bavarians came up with Oktoberfest, which actually begins in the last week of September, and it was a time of great feasting and merriment, still in existence today. China’s Mid-Autumn festival is celebrated on the night of the Harvest Moon, and is a festival of honoring family unity. In China, the moon’s birthday falls around the time of the autumn equinox. Special holiday birthday cakes are baked with flour from harvested rice, and families gather together to honor the moon. It is believed that flowers will fall from the sky on the night of the moon’s birthday, and those who saw them fall would be blessed with great abundance. 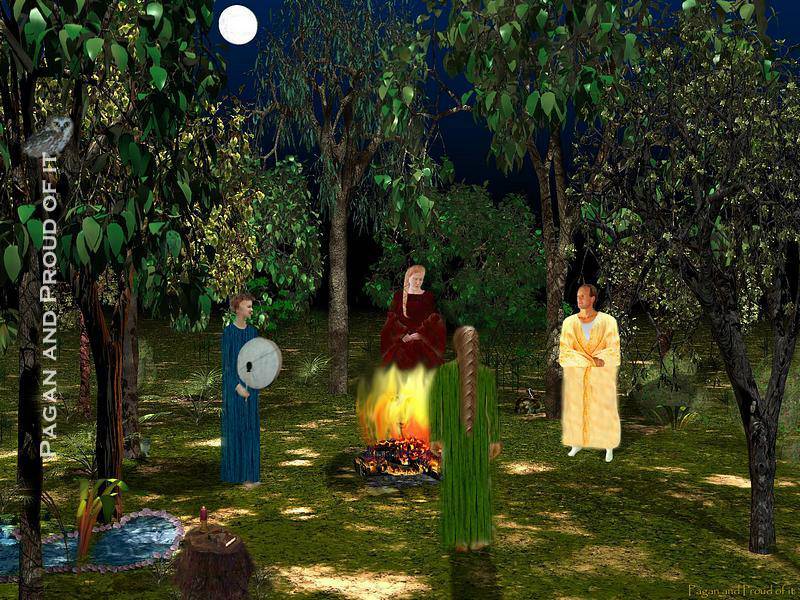 For contemporary Druids, this a time of balance between the light and the dark. Many Nordic pagan groups honor the fall equinox as Winter Nights, a festival sacred to the god Freyr. For most Wiccans and Neo-Pagans, this is a time of community and kinship. 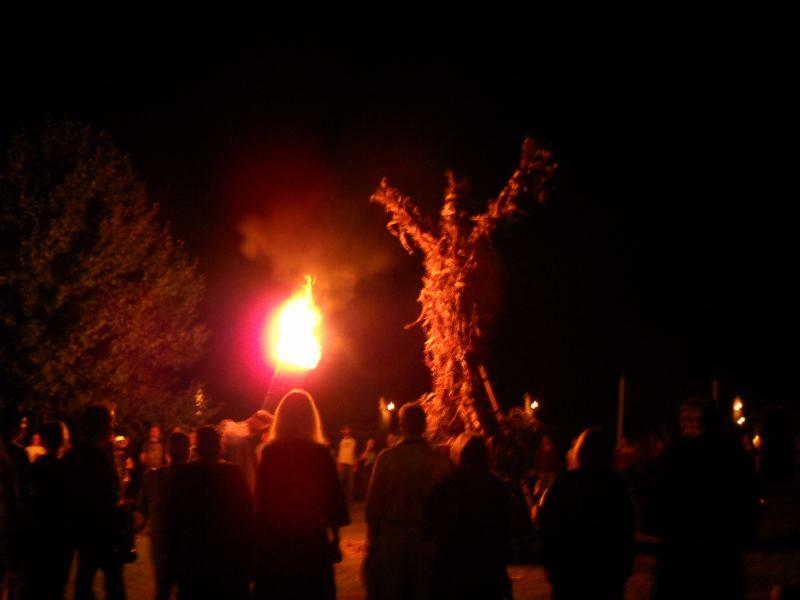 It’s not uncommon to find a Pagan Pride Day celebration tied in with Mabon. Organizers of these events often include a food drive as part of the festivities, to celebrate the bounty of the harvest and to share with the less fortunate. Many English counties still observe Michaelmas, which is the feast of St. Michael, on September 29. Customs included the preparation of a meal of goose which had been fed on the stubble of the fields following the harvest (called a stubble-goose). There was also a tradition of preparing special larger-than-usual loaves of bread, and St. Michael’s bannocks, which was a special kind of oatcake. The Iroquois people celebrated a Corn Dance each fall. This was a way to give thanks for the ripening of the grain — songs, dances and drumming were part of the celebration. Naturally, food played an important part as well, including corn bread and soup. Early agricultural societies understood the importance of hospitality — it was crucial to develop a relationship with your neighbors, because they might be the ones to help you when your family ran out of food. 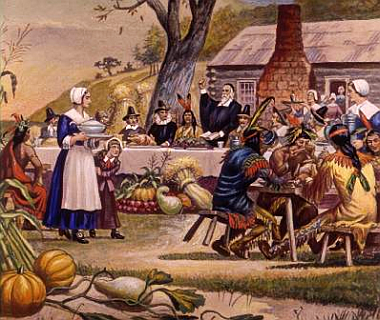 Many people, particularly in rural villages, celebrated the harvest with great deals of feasting, drinking, and eating. Celebrate Mabon yourself with a feast — and the bigger, the better! 1 Pings/Trackbacks for "Mabon – the Autumn Equinox"